Chicken. (Insert long sigh.) I just love chicken. There are so many things you can do with it that it's virtually impossible to get bored with it. I have so many ideas running through my head that I just can't keep up! 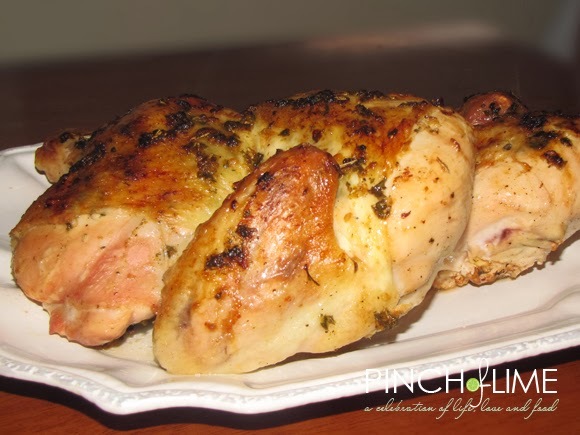 This roast chicken is my latest chicken recipe creation. And let me tell you...it is delicious. I tried something new with this one and the result was the best ever. What did I do differently? Well, this chicken was halved. I've never tried to tackle it before but I'm seriously doing it this way from now on. Not only does it cook faster than when it's whole, but it cooks more evenly leaving you with super moist and perfectly cooked meat. I think I've finally made my best fruit salsa yet. 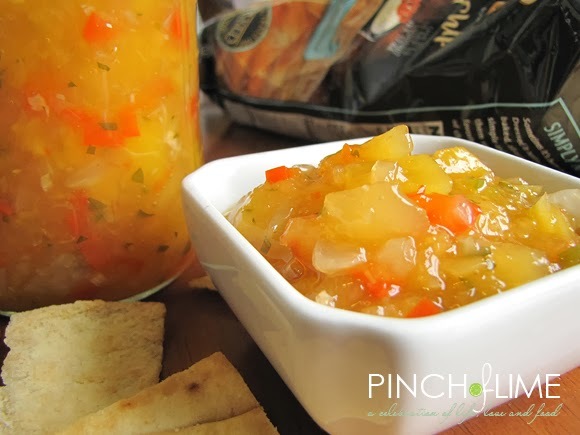 My Apple Peach Salsa - which was pretty darn tasty - has nothing on this one. Nothing I tell you!